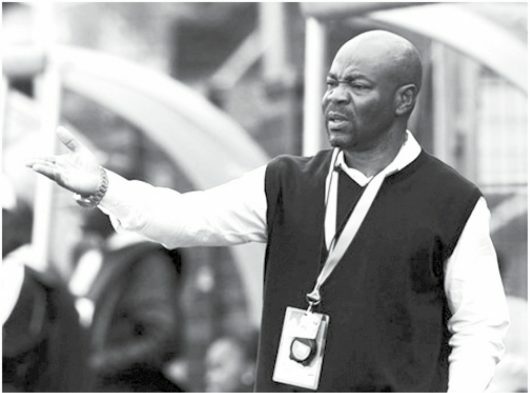 Former Flying Eagles coach, John Obuh has said that the team currently led by Paul Aigbogun need international exposure for them to succeed in the 2019 FIFA U-20 World Cup slated for Poland. Coach Obuh in this exclusive interview with our correspondent said that not being paid bonus should not distract the players and encouraged them to focus on building their career and make money later. What is your impression about Flying Eagles outing in Niger Africa Youth Championship? If you watch the procedures leading to their qualifying for the World Cup, they require a lot of assistance from the federation. What I mean is let them give them enough preparation and international exposure because this time around, it is no longer Africa but the rest of the world. They need to get out of Africa as quickly as possible to go and get the team prepared. Are you satisfied with the performance of the team and how they played? No matter what happened, even if they had won the African Youth Championship Cup, it will not be enough because this is another process which they are going into. They need to build the team with some new legs. They need to bring in some new legs into the team considering the fact that it was not a very good outing for them. But I don’t blame them for that because the most important thing is that they have qualified for the World Cup. The coaches need to scout extensively to be able to put the team in a stronger presentation to the World Cup than it was in the Africa Youth Championship. In which departments do you want the technical crew to strengthen? It is very difficult for you to talk about a particular aspect. It is just for them to look out and see if they can see a better goalkeeper than the ones they have currently. Same in all the departments. If they can get new legs in any of the departments better than what they have; it is not a question of trying to blame it on a particular department. People are of the view that scrapping match bonuses for the underage teams affected them. What is your thought on this? Yes and no. why I said yes is that we all know the economic situation of the country and most of these players are doing everything possible to take care of their families. Most of them are the breadwinners of their families and that is what they are looking up to. All the same, since they are still beginners, trying to see what they can do with their career going forward, I think they should put aside the issue of money and think of how to build their career. The money will come at the appropriate time. I will advise them to forget the money they are going to make immediately and focus on building their career. I know it is very difficult because so many of them are the breadwinners of their families. How do you compare the team you handled and the current squad? We are not the same and that time and now are not the same either. That time bonuses were paid and there were a lot of moral boasting activities such as psychological upliftment and others. I was the one in charge and of course I am different from those in charge now, so they can never be the same. I just want to believe that the handlers of the U-20 now should look up to building up their career so that when they come out of the championship, they should be able to make a statement and be proud of it. Now that the bonuses are no longer there, in which other ways do you think the coaching crew and the federation should motivate the players? There is no motivational factor to players than this exposure to the World Cup. World Cup is the ultimate and when you play in the World Cup and you play well, you will be exposed to a lot of scouts and a lot of clubs will come for and you will make the money you were not able to make during the period of the Africa Youth Championship or whatever you have. So the first motivational factor they have is for them to realise that they are going into the world now and they have to showcase themselves. If they do well, they will see whatever thing they are looking for, if they don’t do well, they will have themselves to blame. That is the first motivational factor. The second one is for the coaches to make them understand that money is not everything. If they are able to do well, that money that did not come out in the beginning might come out because there will be a lot of gifts. Governors, companies would like to come and have something to do with them, to recognise them. So they have a lot of things that will motivate them to go out there and conquer the world. This is the last opportunity for them to be present in the World Cup and if they lose it, it might be difficult for them going forward. Flying Eagles are paired along with Qatar, USA and Ukraine in Group E. Do you think the team would be able to navigate the tide? It is very big opportunity for the team but they should not abuse it. The group is relatively balanced but they should not underrate any team. Today, football is coming up with a lot of improvements both at country level and at individual level. Playing with USA, Qatar and Ukraine does not make us to look at them as smaller countries. They should go and play as if they are playing Germany, Brazil, Argentina and as if England and Holland are involved. They have opportunity. Bookmaking it looks as if those countries are not good enough but let them not take those countries for granted. After your disengagement with Kwara United, what next sir? I am still available. I am still the coach that everybody knows very well. I am only praying that God should help me to get a good club so that I will be able to go back to my work. I am still very much available. Have Kwara United been able to pay up your backlog of salaries? Well, I have taken the issue to the appropriate quarters and they are dealing with it.